Does High IQ Correlate With Better Salary? Meditation, What’s In It For Me? Must You Be A Buddhist To Practice Meditation? We first came up with the idea for this site during one of our Buddhist meditation workshops at the University of Hertfordshire. Since then, we have been approached by hundreds, or maybe thousands, of people who have been in need of a more balanced, focused and sharper lifestyle. Thus, we decided to give this online meditation community a go and help people around the world to find their inner peace. But what to name it? After bouncing names around for months, we decided to call ourselves BigMind.org.uk. We thought it was absolutely down-to-the-point as it represents our constant search for a more expanded consciousness and greater awareness. After all, meditation is all about tapping into the largest universe inside of you – the brain – and at the same time, learning how you can develop stillness. The brain and our thoughts represent powerful instruments. By choosing our thoughts and calming our mind, stripping it down from all outside distractions, we can start finding a more balanced, peaceful and meaningful existence. Meditation is the perfect tool to find peace in your own mind. With us, you’re in good hands! We have studied Buddhism and various meditation techniques for several years and we have held hundreds of workshops around the world teaching people greater self-awareness, a more balanced lifestyle, and stress-reducing relaxation techniques. We want to share our knowledge with everyone and help you in achieving a better quality of life through meditation. We want you to consider this site as an online meditation community for us all! Meditation is ultimately a skill that you learn through regular practice. To guide you through the pitfalls, we have compiled a comprehensive online meditation practice guidebook which describes the different stages in great detail. Although we encourage you to give it a read, we want to urge you to do all of the meditation exercises to help you get started with your practice. 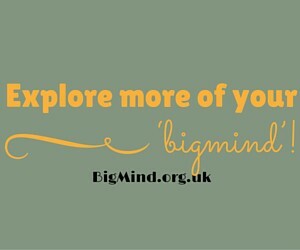 So do your exercises and come back to us to explore more of your ‘bigmind’!